What is a Kansas Quit Claim Deed? 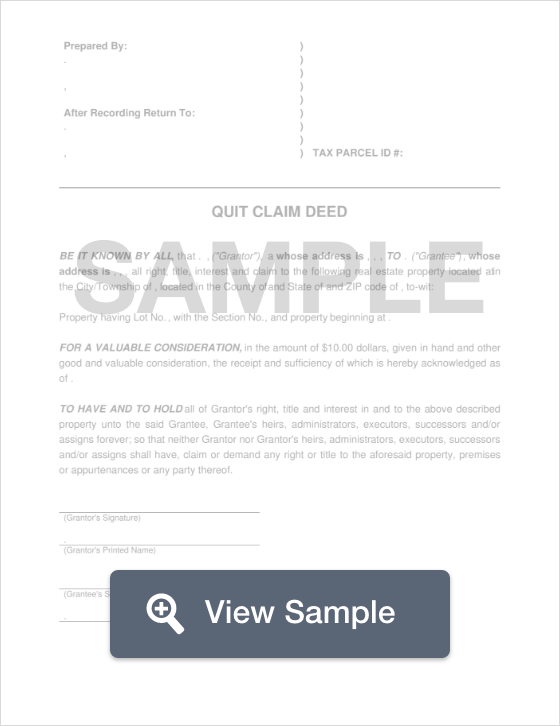 Kansas Quit Claim Deed: What Is It? In Kansas, a quit claim deed is a document that allows the owner of a piece of real estate to convey his or her property to a new owner. This document transfers an owner's legal interest on a property to the new owner without any form of guarantee that the property title is clear of any encumbrances. These types of transactions where a quit claim deed is used are generally implemented between family members or even in cases of divorce where the interest in the property is transferred solely to a spouse. Regardless of the situation, it is highly recommended that the buyer or the person receiving interest on the property conduct a thorough title search to ensure that there are no encumbrances on the property. Signing Requirements - In Kansas, a quit claim deed must be notarized by a certified Notary Public (§ 58-2205). Recording - Once notarized, the quit claim deed must be filed with the County Recorder’s Office in the jurisdiction where the property is located.